For pupils approaching Senior School, the decision to undertake the 11 plus tests can be a difficult one, both for the parents and the child. At Colchester High School we provide our parents and pupils with guidance to make sure they are prepared and offer training and support for those children who have shown an interest and aptitude to undertake the 11+ tests. What are the 11+ tests? Grammar Schools in the UK require applicants to undertake an 11+ test before a school place can be offered to ensure they meet their required standards. The tests are typically comprised of 4 different parts, including English, Mathematics, Verbal Reasoning and Non-Verbal Reasoning. After the test, each pupil’s scores are tallied up. Some Grammar Schools have a pass mark whereas other schools will select only from the most able of the school population who choose to apply. Achieving a top score is no easy task. The number of successful applicants across the UK vary, but competition is always very competitive. In top Grammar Schools, such as Colchester Royal Grammar School and Colchester High School for Girls, the number of successful applicants is rarely above the top 3% nationally. Colchester High School prides itself on pushing our pupils to be the best they can be. For those who show the drive and ability to succeed in the 11+ tests, we provide training and support to give your child the best chance of success on the day of the exam. 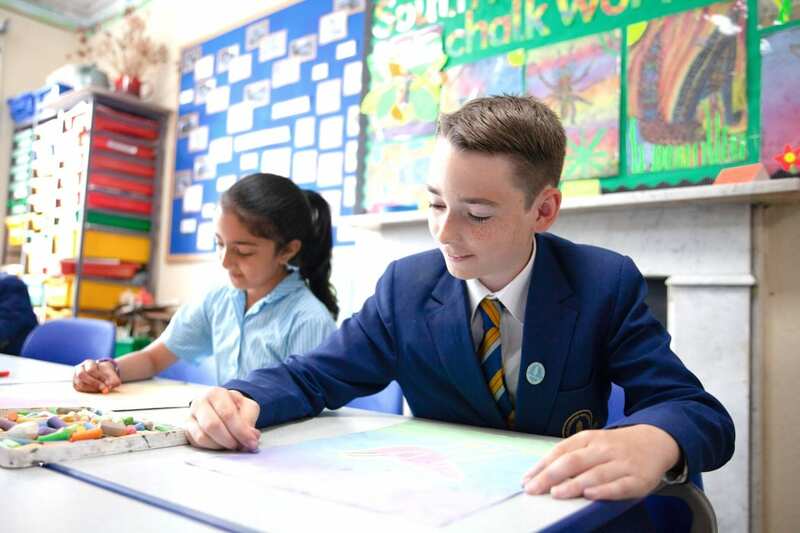 Alongside our curriculum that helps prepare all children for the challenges of the 11+ test, the most able pupils will be given the option to undertake a number of extension lessons throughout the year to better prepare for the exam. Please click here to learn more about our 11+ Provision. Should my child take an 11+ test? Whether or not your child takes the 11+ test is ultimately up to you and your child. However, there are a number of areas to make note of that may help you decide. Pupils suitable for the 11-plus tests naturally have a curiosity and enjoyment of learning and problem solving. They show an ability to work at pace and assimilate information quickly, as well as showing a keen imagination for original ideas. If the 11+ test is not for you? While our commitment to excellent teaching and learning is embedded in all stages of our school, pupils are not required to undertake an 11+ test in order to be considered for our Senior School. Instead of an 11+ test, we ask applicants to come along to a Taster Day where they can get a feel for a typical day at Senior School. For those of high academic ability or displaying a high standard of achievement or potential in English, Maths, Art, Performing Arts, Science or Sport, we are pleased to offer a range of scholarships to prospective Year 7 pupils. Please click here to learn more about how to apply for a Scholarship at Colchester High School. If you are unsure of whether to register your child for 11+ tests or a scholarship, or have any further questions, book a visit or contact us today.